With the current re-design of Harvey’s Quay it is an opportune time to delve into the history of Harvey’s Quay and the family after which it is named. The latest project is extending the paths and putting in new public benches. It is also creating a more open, greener space for the public to avail. 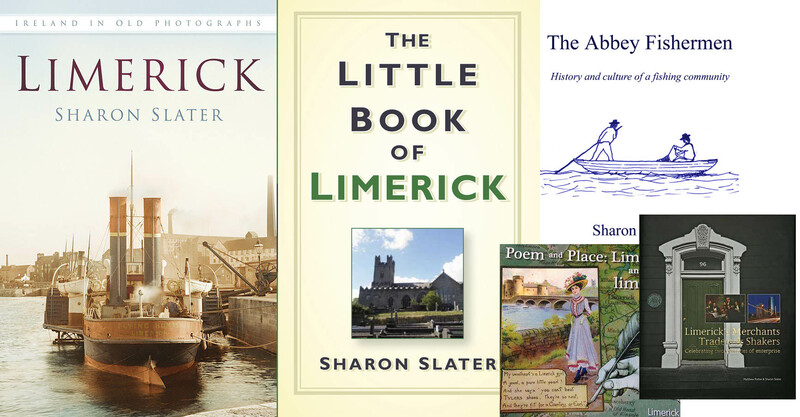 This is being done in an effort to encourage Limerick people back to the majestic Shannon River. The street known now as Harvey’s Quay began as two separate Quays named after the men who constructed the areas in the 1820s. The original Harvey’s Quay was located between Bedford Row and Lower Cecil Street . This Quay was named after Reuben Harvey, who constructed that portion of the Quay on a section of land leased to his father Joseph Massey Harvey by Lord Viscount Pery in 1791. 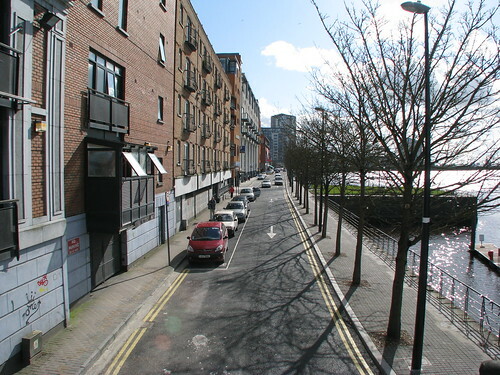 The additional section from Bedford Row to Sarsfield Bridge was then known as Fisher’s Quay, which was originally constructed by James Fisher on land also leased in 1791. The lease of Fisher’s Quay was subsequently transferred to William Gabbett in 1857. On the lease for the quays there was the following stipulation: “The Grantee convenants to keep in repair the premises, the accidents of fire, war and general rebellion only excepted.” The two Quays were eventually merged and by the mid 20th Century it was known only as Harvey’s Quay. The above named streets are presently merging again and the entire Quay section is being referred to as Howley’s Quay on the likes of Google Maps. Both men, Reuben Harvey and James Fisher, were members of the Society of Friends Quakers. Rueben Harvey was born in 1789 in Summerville, one of Joseph Massey Harvey and Rebecca Mark’s eleven children. Joseph Massey Harvey (1764-1834), his wife and children were a prominent Quaker family who relocated from Cork in 1786. He came to Limerick to work for the Fisher Flour Mills on Francis Street, a company owned by James Fisher. That same year the couple built Summerville, which is now part of the Mary Immaculate College on a section of land they acquired which by the 1870s was known as “Quaker Fields”. Following the death of his wife, Joseph Massey donated a portion of the “Quaker Fields” land on the Ballinacurra side as a graveyard for the Quaker Society. It is here that his wife was interred on the 8th July 1833 she had passed away in 1831, and later himself and several of his children. The previous Quaker Graveyard was located under what is now St. Mary’s Girls’ Primary School on Bishop Street. Rueben Harvey, husband to Hannah Christy, died on 21 September 1866 in Pery Square at the age of 77. Rueben had three children: James Harvey (1820-1837), Mary Christy Harvey (1825-1858) and Joseph Massey Harvey (1826-1887). 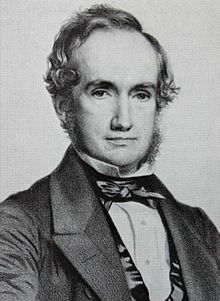 Rueben was the elder brother of the Irish botanist William Henry Harvey (1811-1866), the youngest of the Joseph Massey children. William was appointed the colonial treasurer in Cape Town following the death of his older brother, Joseph. In his fruitful career he described over 750 newly discovered species of plants and in excess of 75 genera of algae. Between 1833 and 1862 he wrote over 30 papers on the subject of botany. Although he criticised Charles Darwin’s theory of evolution, Darwin still praised him as a great botanist. William died of tuberculosis in Torquay, Devon. As an adult he was disowned from the Quakers Society for joining the Anglican Church. From the time the areas were built until the early 20th century the quays were primarily used for the loading and unloading of good with the majority of buildings being storehouses. The street has housed a variety of businesses which included in 1838, three men by the name of Crilley, one who was a baker another John Crilley was a spirit merchant while William Crilley manufactured chandlers for ships. That same year a J Ryan was recorded as a tailor and habit maker. Another tailor, William Ryan was recorded on the street in 1870. Between 1846 and 1886 Robert Talbot and his son William were block and pump makers. While in 1886 William also operated here as a bicycle and tricycle agent. While in 1875, M Dawson and his son operated as iron merchants. For ten years between 1846 and 1856, Eliza Ryan ran a public house on the street. Later in 1875, Timothy Morrisy ran a spirit Merchant and in 1886, James Belle ran a refreshment rooms. ears ago, with the creation of the new boardwalk which takes advantage of the view of beautiful Shannon river and covers Poor Man’s Kilkee. On the 24 June, a statute of the late Terry Wogan was unveiled on the boardwalk. 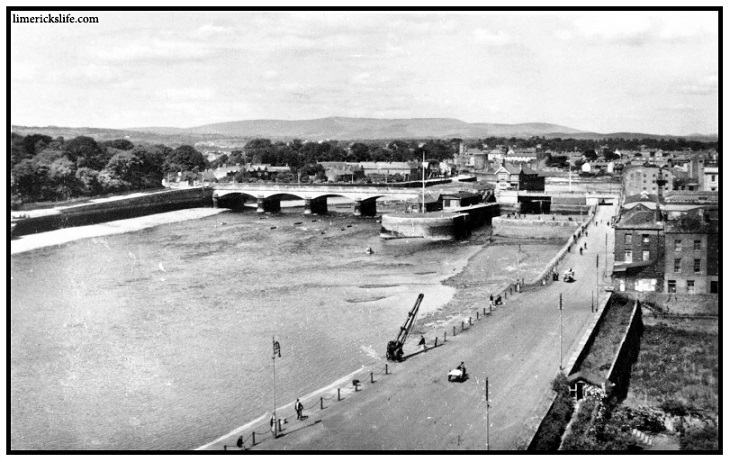 Other quays in this stretch are Bishop’s Quay, named after the William Cecil Pery, the Protestant Bishop of Limerick whose garden backed onto the quay. This quay was also known as O’Neill’s Quay. A small mooring juts out from this quay, this was known as Russell’s Quay after the family of John Norris Russell who erected the original building of the Condensed Milk Factory. Howley’s Quay was named after William Howley (1790-1867). While Steamboat Quay as it name suggests was the mooring point for steam powered ships. Honan’s Quay named after Matthew Honan a merchant who operated out of this section of water front from the 1780s. While Arthur’s Quay was built by the Arthur family after whom Patrick Street, Francis Street and Ellen Street were named. The oldest quay in the Newtown Pery area was Custom House Quay, which was situated behind the old Custom House (Hunt Museum).